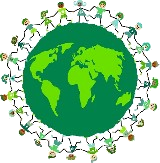 What Is Eco Friendly Gardening? Eco friendly gardens and organic gardening is the practice of gardening without the use of any synthetic fertilizers, pesticides or herbicides in your garden. Instead, you can harness the power of nature and natural elements to help construct and sustain a beautiful garden with a bounty of vegetables, fruits and flowers. 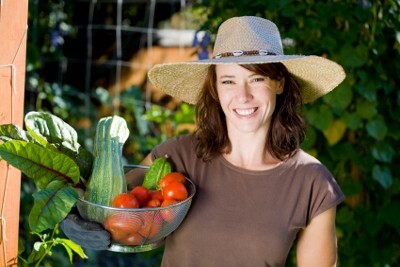 You will likely feel better about your garden hobby and your body will thank you as well. After all, it has enough pollutants to contend with throughout the day. The last thing your body needs is an extra dose of pesticides with your dinner salad just before heading to bed! One of the first realizations that budding gardeners have is that just like that now famous movie phrase, 'if we build it they will come', if you invest your time, sweat and energy into building a beautiful garden, the bugs will come. Some of those bugs will simply pass through and enjoy your creation. Others will come time and time again for regular meals. These are the ones you may not want around on a regular basis. But getting them to stay away may be an unpleasant and toxic venture for everyone involved. If you go the conventional route and spray your beautiful garden with pesticides and herbicides, you will certainly get rid of those unwanted buggers. However, the side effects of those sprays may not be something you or the environment had bargained for when planning your garden. Luckily there are many natural alternatives which will rid you of plant eaters and other unpleasant bugs while getting you the stunning results you are after. When you are choosing a natural insect repellent, some of the things to look for are plant-based ingredients and special attention focused on keeping beneficial bugs alive. There are certain types of beetles and bugs that are great for your garden. 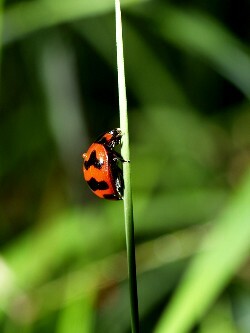 For example, lady bugs are one of nature's special garden friends. Because ladybugs dine on smaller bugs called aphids, Colorado potato beetles (egg stage) and other insect pests which can invade your garden. Garlic Barrier Insect Repellant - You've likely heard about the mythical power of garlic to repel vampires. Now, you can exploit the smelly bulb to keep critters away from your bounty as well. Completely safe for humans, animals, pets and fish, the Garlic Barrier will keep away rabbits, deer, fleas, ticks and geese. It will even prevent some birds from having a snack at your fruit trees. Find this powerful concoction at Eco-Gardening.com. Oil-Away Supreme Insecticide Oil - This plant based insecticidal spray does not contain any petroleum based ingredients controls a wide variety of insect pests on fruits and vegetables without harming plants, wildlife or the earth. Sta-Home Lady Beetles - Instead of hoping that a few dozen ladybugs descend upon your garden, you can order these specialized lady beetles to live in and lay eggs in your garden to keep pests at bay without using pesticides. From glowing skin to stimulation digestion dandelion contains 2,8% protids, 7,5% glucids, vitamins (A, B2, C, D and G) and minerals (potassium, sodium, calcium, phosphorus and iron). 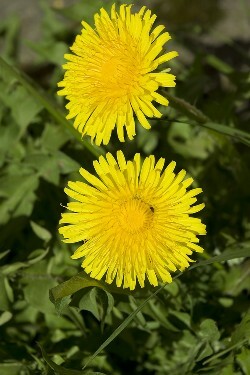 Learn all about this wonderful little weed at LiveandFeel.com. Nettle - This weed has been around for centuries and used in a myriad of ways for health benefits. In order to protect itself the nettle leaf actually stings and creates small white welts that last for a few hours. It is also protecting its little secret powers to help heal everything from arthritis to allergies. 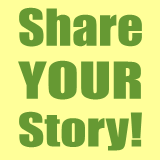 Learn all about the benefits of nettle at LiveandFeel.com. Weed Barriers - helps to prevent weeds from popping up in the first place. This is a wonderful chemical-free alternative that is long lasting and easy to maintain. Simply lay down the barrier and staple into place. It is breathable allowing soil to stay healthy underneath and durable. It is also mold and rot resistant. 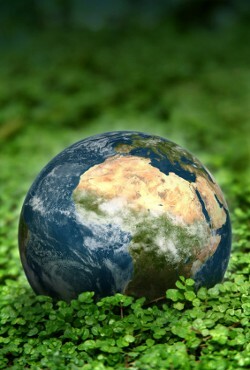 Find it at PlanetNatural.com. Natural Herbicide - Another alternative to weed control is to forego the synthetic sprays for a natural version that is citrus oil based. You will want to look for a spray that is rated safe for children, animals and the environment. One brand to try is Nature's Avenger Organic Herbicide from Arbico-Organics.com, which is certified organic as well as registered with the EPA - Environmental Protection Agency. Eco-Organic Blender - A plant based alternative to traditional weed control, this spray is made from the fatty acids of plant oils such as soybean oil and cedar oil. And will kill weeds such as the tenacious poison-ivy plant, naturally. Eco push mowers - The best alternative to a gas guzzling lawn mower is a push mower which will use only your strength to get your grass trim. 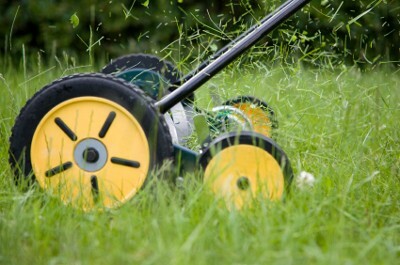 Forget about those noisy, stinky mowers and choose from a variety of push mowers at CleanAirGardening.com. Your neighbors may thank you! Recycled Gardening Gloves - An essential tool for every gardener is the gardening glove. You will want to choose a pair that is breathable, has a grip and now you can even choose a pair that is 100% recycled. You can keep your hands protected from the sun, bugs and thorns in eco-friendly style. Recycled Material Compost Bins These are made from 100% recycled plastics. No need to throw away those fruit, vegetable and food scraps. Now you can turn them into fertilizer for your garden. Also called "liberty gardens", during WWII the state of affairs created a scarcity in the country that forced certain staples to become limited. The government began rationing foods such as bread, butter and meat and coffee. 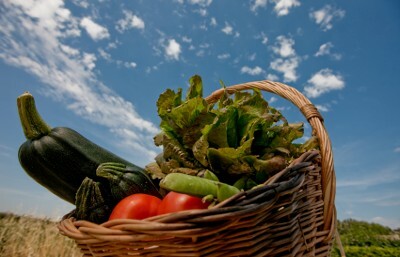 During this time, fresh produce was also difficult to come by due to transportation issues. So, the government called on citizens to help themselves by planting personal and community gardens. By 1945 there were said to be roughly 20 million victory gardens producing about 40 percent of all American vegetables. Many of these gardens were found in surprising locations such sites as the strip between a sidewalk and the street, town centers, and even the land around business structures. Today, though are no specific shortages in produce availability, individuals are discovering new ways to save money during these tough economic times. The "victory garden" has seen resurgence all over America, even on balconies in urban environments where open space is limited.